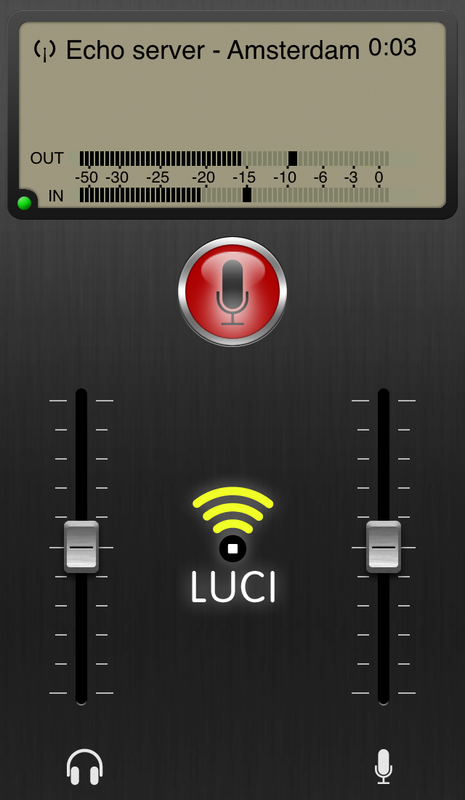 The LUCI Live Lite application is simplified to just one ON AIR button. This button activates your microphone and at the same time will establish the connection with your chosen streaming server. After activating the ON AIR button this will turn RED, indicating the microphone is active. The incoming stream indicator will turn Green after the connection is established. Now you are streaming live audio to the station.